Israel mistakenly thought Democratic Unionist Party (DUP) founder Dr Ian Paisley wanted to import arms into Northern Ireland in the late 1980s. A confidential report from the Irish Embassy in London highlighted what top diplomats believed to be a misunderstanding by Israeli officials of the Loyalist leader and his intentions for Northern Ireland. The secret briefing, sent to the Department of Foreign Affairs by Ireland's Ambassador to the UK Noel Dorr, outlined a bizarre conversation he had with senior Israeli officials. 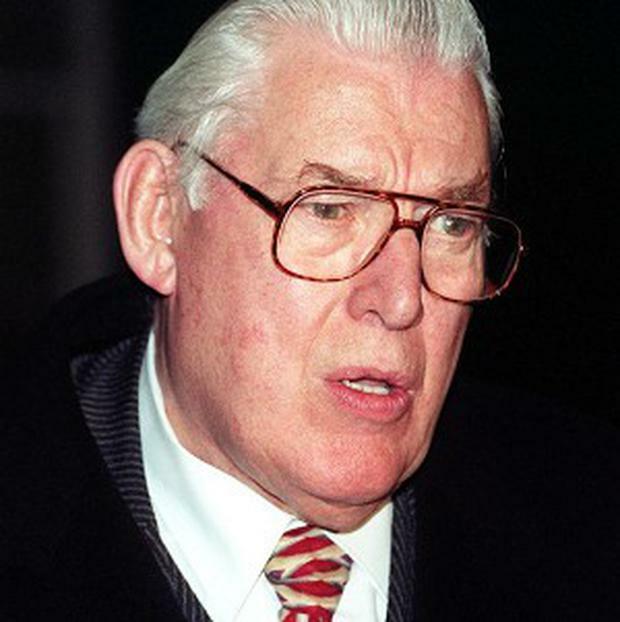 "He [the Israeli ambassador] said that Rev Ian Paisley had been in touch with him to obtain arms," Mr Dorr wrote. "I expressed surprise at this since I thought it unlikely that Paisley would leave himself open on something like this. "The ambassador said the request related to Border protection. "I said I presumed that the emphasis was on surveillance equipment rather than on arms but the ambassador did not elaborate further on the detail of the request. "He said that he had replied to Paisley that these things could be dealt with only between governments."